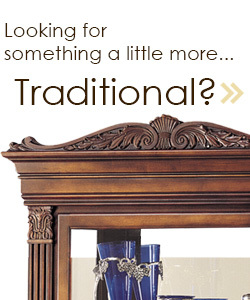 Need a fixture that calls attention to curios, merchandise, memorabilia and other important display items? No matter where these mid-size showcases are placed, they pique interest from any angle. What sets this group apart from the rest? These mid-size showcases, also known as retail display cases, are at least 25” wide, and take up a good amount of floor space for showcasing a wide variety of items. This wood and glass storage furniture is great for displaying prized relics museums, stores, hotels, offices and schools. The mid-size showcases feature tempered glass shelves that keep items highly visible even from a distance. Each stand measures 71” to 81” to be easily seen from anywhere in the room. 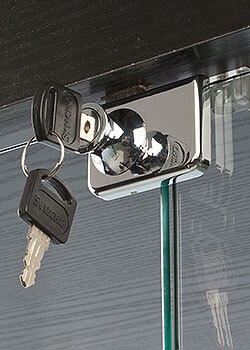 In addition, all racks offer a locking door that prevents theft and tampering. 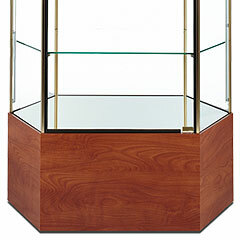 What choices are available with these retail display cases? Each wood and glass mid-size showcase has one of four shapes: square, rectangular, oval and hexagonal. No matter the design, this furniture has a stylish appearance that blends in with any interior. Mid-sized cabinets with a square frame all have (3) glass shelves and measure 25.5” wide and 82”, making them the tallest available choice. These have a classic motif that makes them great for households, specialty stores, businesses and museums. Rectangular units come in a number of styles, from the full vision EuroVu models to the eyewear rack with an attractive natural backing. 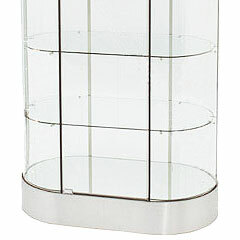 Oval retail display cases have no sharp corners and feature a stylish design that highlights their contents. Hexagonal storage fixtures are available in two construction styles, one where all six sides have roughly the same length (a “regular polygon”) and one that has two longer sides. Showcases like these also offer different lighting styles. Most mid-sized cabinets include halogen or LED lights for illuminating merchandise and curios. Shelving will generally feature side lighting, top lighting, both or neither to meet any illumination need. Some of the furniture offers adjustable lights that allow users to create custom light and shadow effects. 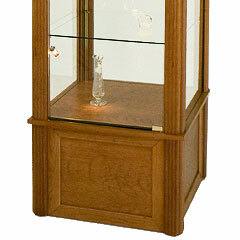 Retail display cases can also come with a storage base for keeping extra supplies. This area is either made of solid wood or aluminum and will hide its contents. These bases are ideal for keeping supplies out of sight from customers. These stands can include height adjustable glass shelves for accommodating large items that might not normally fit. This also allows users to show off one or two curios without having empty surfaces that would seem out of place. These racks offer a spacious area for showing off merchandise or valuables. Universities can use them to show off medals, trophies and other rewards. Museums can exhibit anything from scientific replicas and relics of the past to pieces of art like sculptures and statuettes. Business can place this shelving in lobbies to demonstrate what they manufacture to visitors and associates. In residential settings, they can be used for holding picture frames, personal works of art, fine china, family heirlooms and other memorabilia. Stores often set up racks like these for selling jewelry, electronics, eyewear and handbags. This shelving is meant to take up a certain amount of floor space, measuring from 25” to 48” wide. 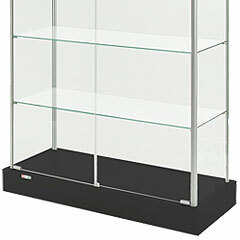 For other sizes, search our massive inventory on DisplayCabinets2go.com and purchase one of our professional-grade storage solutions!